Mt. 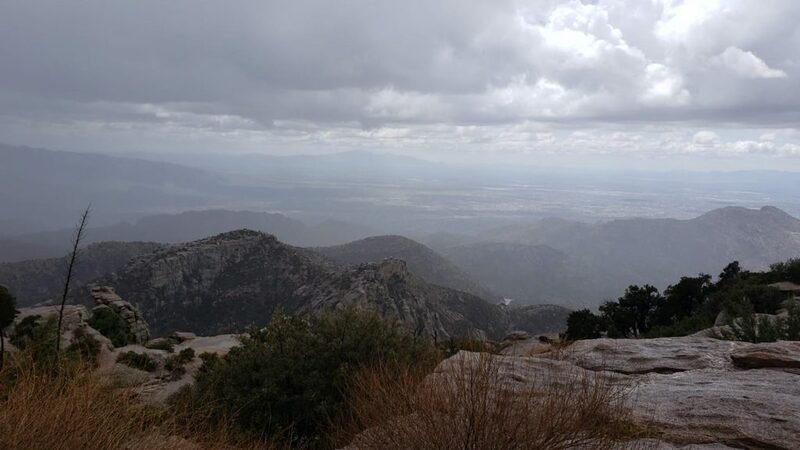 Lemmon is the tallest peak in the Santa Catalina Mountains, which overlooks the Tucson Valley. Growing up on either side of the metro Phoenix valley, my husband and I are still surprised we hadn’t visited Mt. Lemmon previous to 2018. Mt. 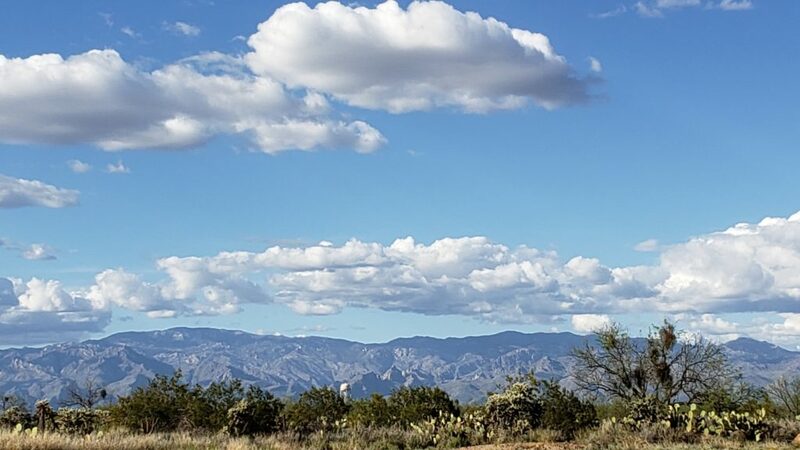 Lemmon is the tallest peak in the Santa Catalina Mountains, which overlooks the Tucson Valley. I snapped this picture of the range while speeding down Valencia Road on the way back to our hotel. Moments later, we passed the Boneyard at Davis Monthan Airforce Base. If you haven’t guessed, this past weekend, my husband and I traveled to Tucson for a little getaway. Living between Phoenix and Tucson makes the travel easy, and we have enjoyed visiting the area, for many years. Many of our trips have included visits to the Pima Air and Space Museum and the Titan Missile Museum. Within the past three years, we’ve branched out to caves and mountain drives. In September, when we first drove up the Mt. Lemmon Highway, I knew we had to return. Often. Luckily, it wasn’t hard to convince my husband to drive the curvy road last Saturday. That morning, we watched the Church of Jesus Christ of Latter-day Saint General Conference session, then we started our adventure. Flowers coat the desert floor. 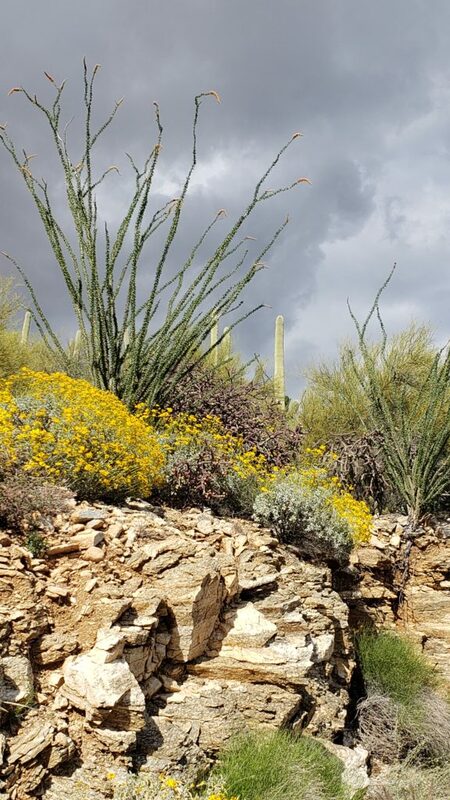 As you can see, the brittlebush is in full bloom, adding a beautiful yellow hue. Here’s another picture with some blooming ocotillo and purple cane cholla. 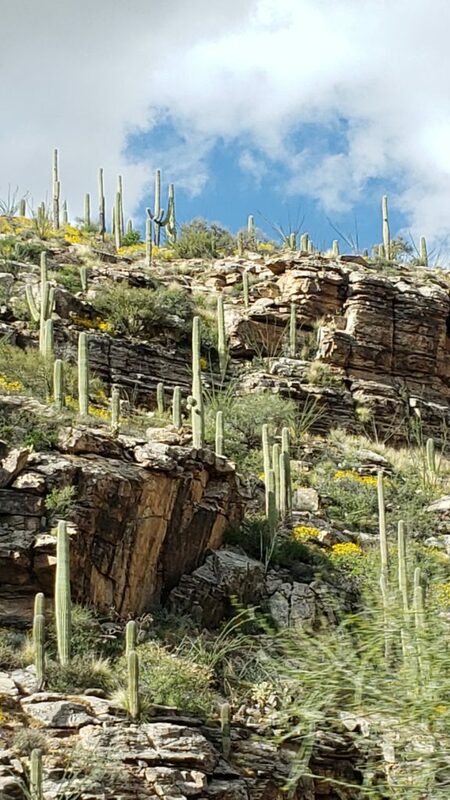 As the saguaros thin, the road travels through a grassy area, and you can feel a difference in temperature. I suspect it isn’t quite as green through the summer. 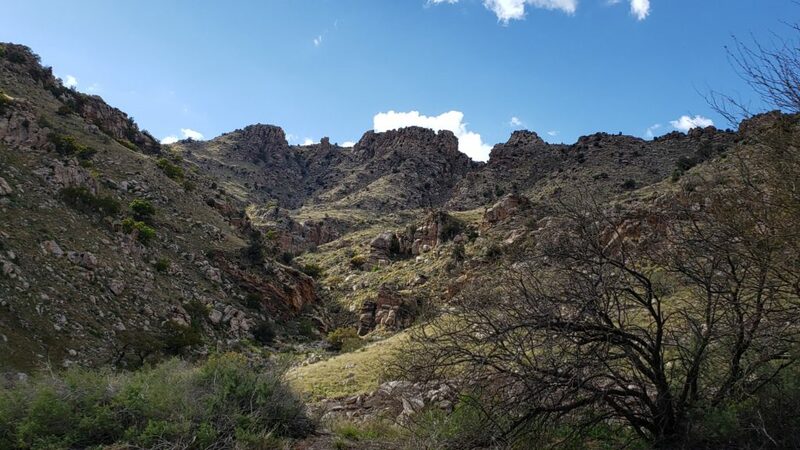 But no one can argue with the allure of the outcrops of rocks, desert grasses, and scrub oak. Most of these pictures were taken on our way down Mt. Lemmon. I had my phone out and snapped a few on the way up, but very few turned out as good as the ones on the way down. Some of this had to do with the weather. We’re Arizonan’s. 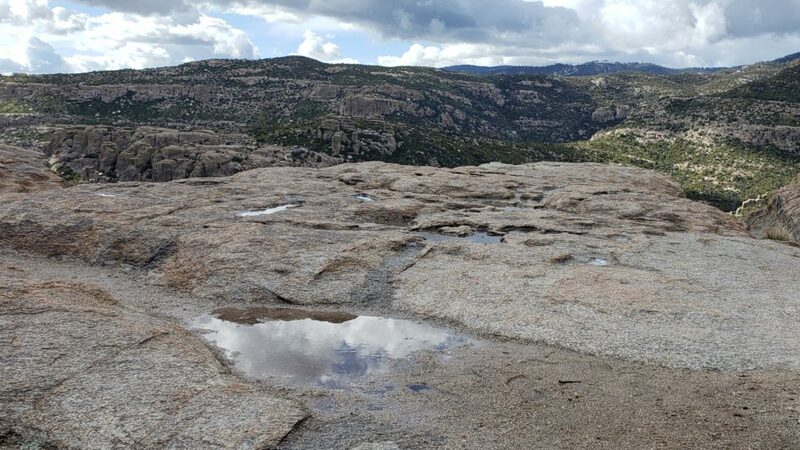 When it rains, we dance, or in this case, roll down our windows, and then take a break at Windy Point Vista. The short-lived storm made our day all the better, so of course, we stopped again as we headed back to Tucson and I took more pictures. I teased my husband about drinking from the puddles. The water was fresh enough, and it may have been okay had it not been for all the people and dogs exploring the area with us. 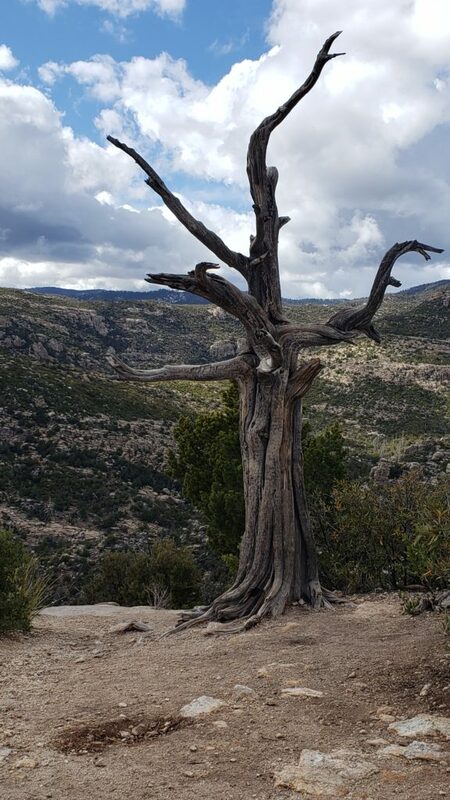 I also needed a picture of the gnarled tree. Doesn’t everyone take pictures of gnarled trees? No? Well, I do. A few minutes after leaving Windy Point Vista the first time, we pulled into the Palisades visitor center. 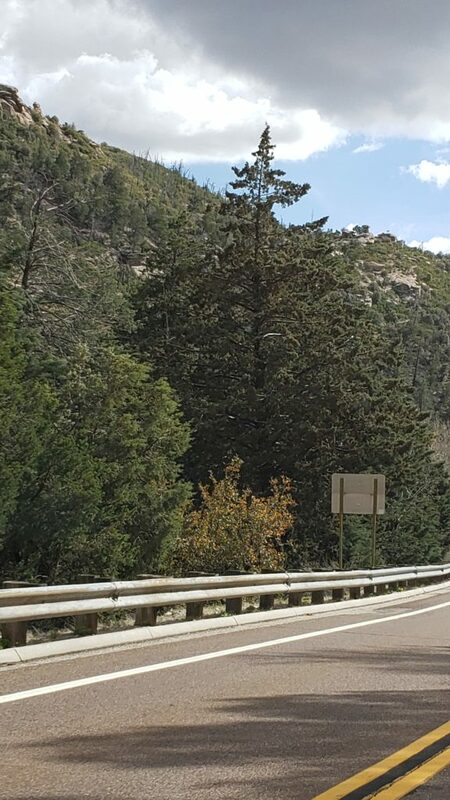 We like to stop in and look at some of the displays they have about the Coronado forest and the history of the Santa Catalina Mountains. Local artist, Jeanne Hartmann, is the ranger that has visited with us both times we’ve stopped. 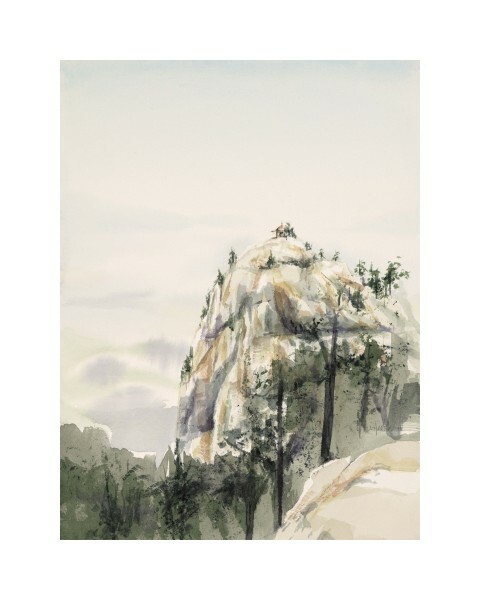 This time we purchased one of her small watercolor prints called Lemmon Lookout. We can’t wait to take our daughter to her June art show in Summerhaven; the small resort town lies a little further up the road. 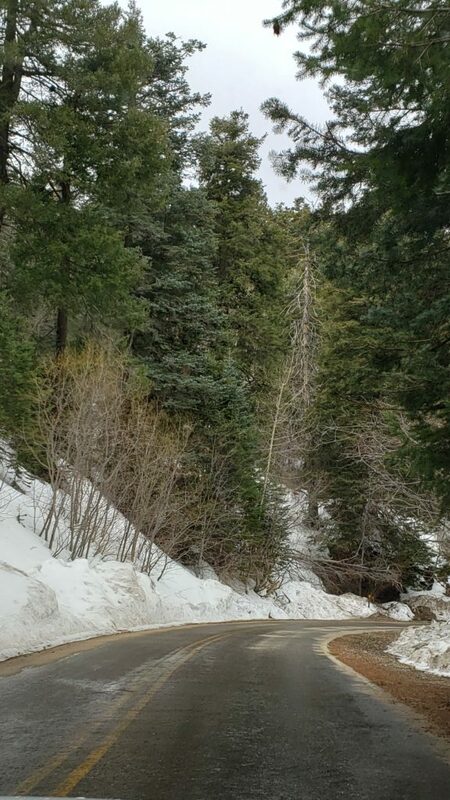 After climbing through the Ponderosa pines, we saw a light skiff of snow along the road before finding ourselves at the southern-most ski resort in Arizona, Ski Valley. 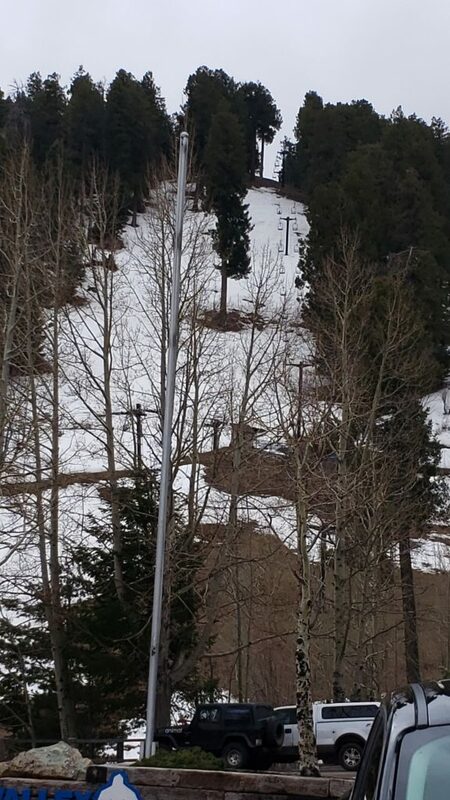 As you can see, the ski season is over. 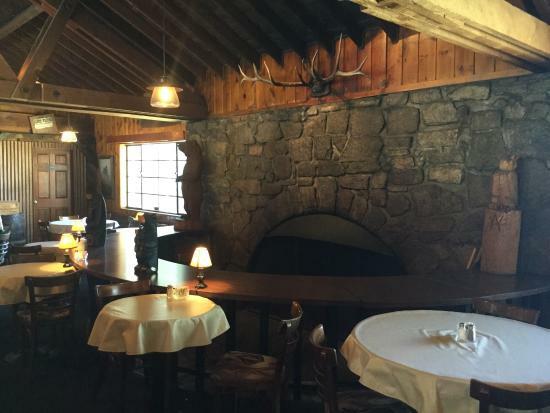 As we ate at the Iron Door restaurant, we enjoyed our seats next to the fireplace. I only wish I’d stood back and taken a picture, but I didn’t; however, I found one online. We sat at the middle table and hungrily finished our half sandwiches/half soups followed by a to-die-for mountain berry pie with a crumble topping. Below is a picture of our view while we ate. 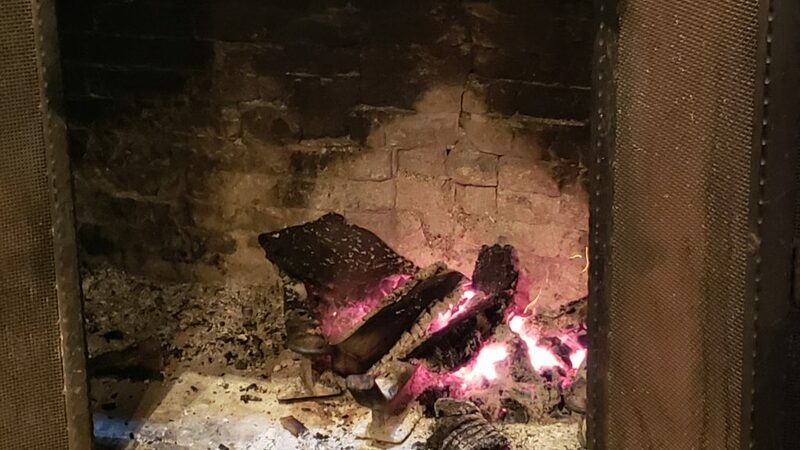 The extra warmth kept us toasty, while the occasional crackle added to the ambiance. Do you see how I caught a spark as it escaped the logs? I impressed myself, even if it was an accident. After lunch, we strolled across the street to the ski resort where the ski lift runs year round. I was on a mission. The fudge shop. My German chocolate dessert melted in my mouth perfectly and included a caramel and walnut center. If my husband doesn’t eat his mint chocolate fudge soon, he’ll miss out. I’ll definitely be visiting there again. We ended our upward travel when the road closed just before reaching the observatory. 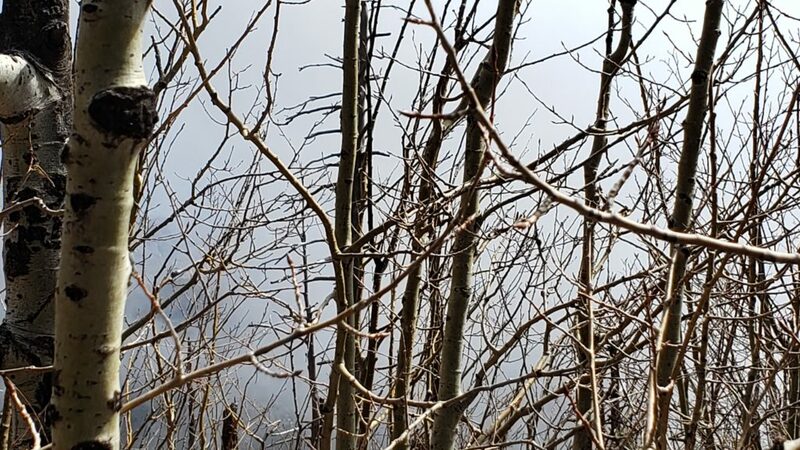 As you can see, the view was a bit obscured by young aspen and dark clouds. Though, we did find restrooms and picnic tables. In fact, there are picnicking and camping facilities along much of the highway. And I’m already planning a day of writing and lunching surrounded by a lot of evergreens. I might even bring my family along. On the way down the mountain, I started snapping pictures, most of which you’ve seen. Of course, I made sure to snap one of the snow for my girls who love it much more than I do. 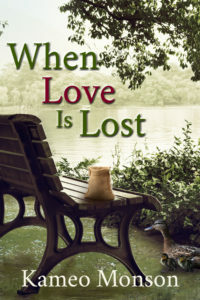 When Love is Lost character Deb and I share that characteristic. 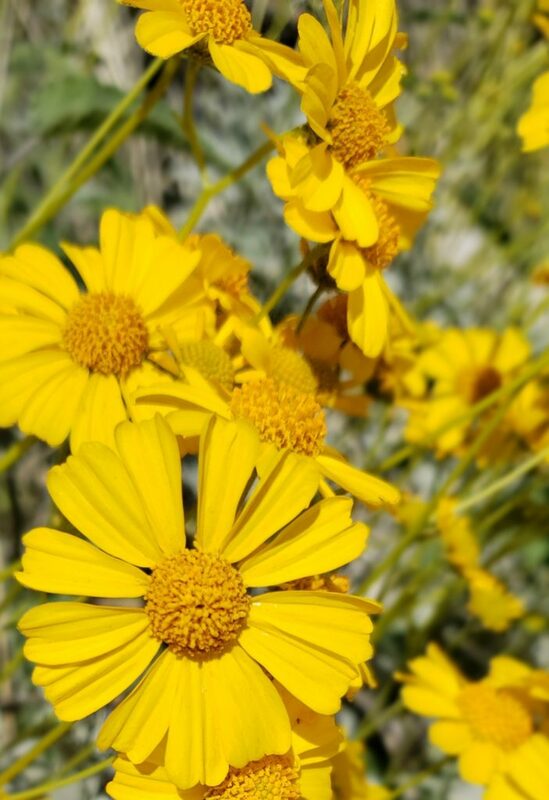 As we reached the desert again, my husband surprised me by pulling over and inviting me to take some up-close pictures. Some of those are posted above, but not the flowers. This year the wildflowers bloomed in abundance, many surviving much later than usual. 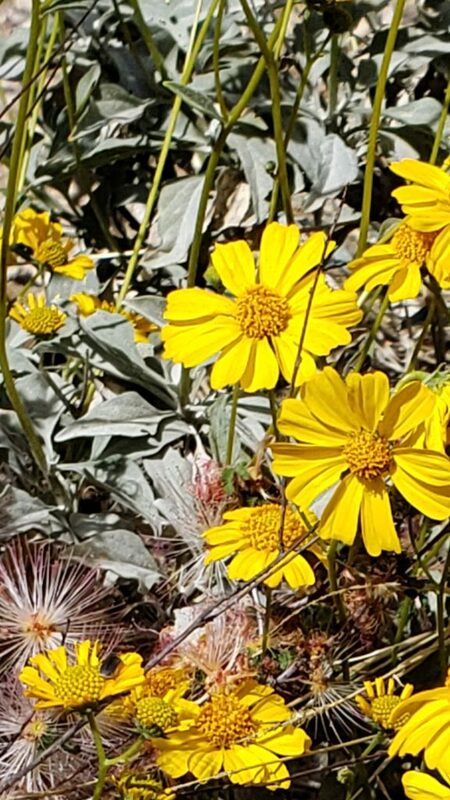 We both love the brittlebush, which blooms every year. 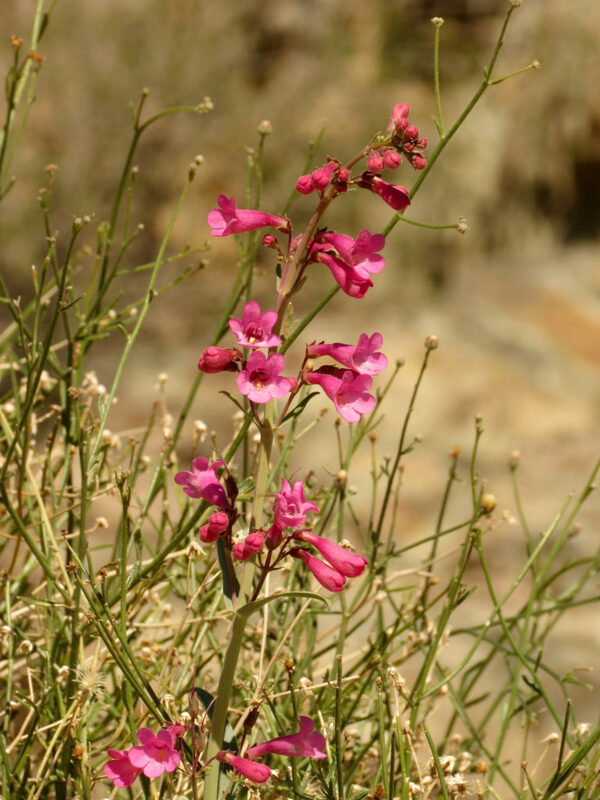 Sadly, I was unable to get pictures of the firecracker bush growing out of the rock or the beautiful pink blossoms I believe I’ve identified as penstemon. We watched the road closely trying to find the rosy petals to photograph, but it wasn’t until the next morning that I located the flowering plant in a patch of dirt along a busy road. Unfortunately, I was unable to take a picture. Luckily, anything can be found online. A little pink prickles my heart, especially when seen with globemallow, like I often saw this particular blossom. While exploring, we also stopped in Summerhaven and purchased some peach jalapeno jam. I haven’t tried it yet, but can’t wait to experience it. We also picked up some prickly pear jelly to share with the kids. My youngest daughter recently told me she didn’t remember it. Since it’s one of my favorites, I couldn’t resist. I feel so blessed to live where I can access the wonder that Heavenly Father created for us. As a terrible gardener, I will always prefer visiting the natural gardens of the world over trying to plant my own.